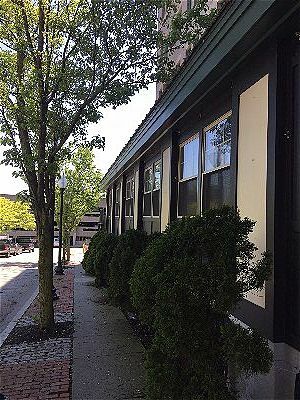 These windows of the restaurant looked unfinished before new canvas window awnings were installed. Every business needs a little something to its look to make them stand out. 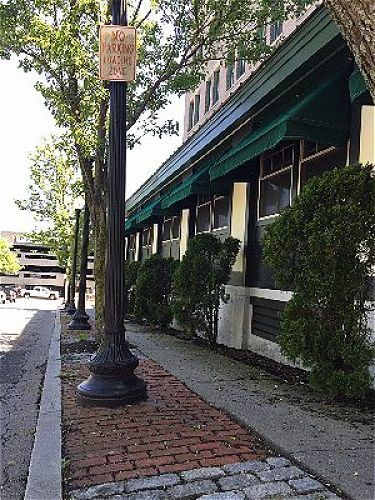 For this restaurant in downtown New Bedford, a pop of green and some depth was just the thing to add to the windows. 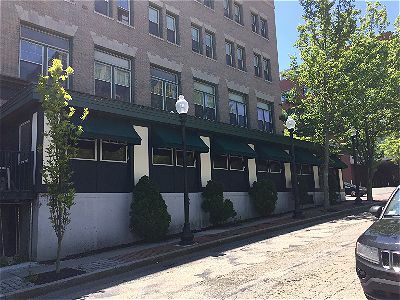 In addition to making the building stand out more to people walking by, the awnings provide some nice shade for those sitting at a window seat. 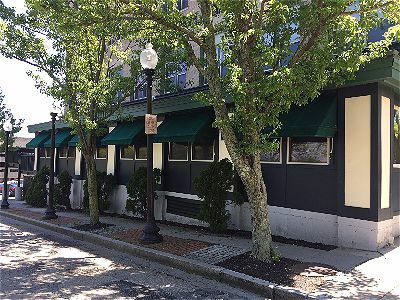 Awnings let in just the right amount of natural light for a comfortable atmosphere to dine in. A view before the awnings went up. Street view of the awnings, you can see how bright this side of the building gets in the middle of the day.